In a world full of obvious technological changes, where clubs tend to look more like a mechanical device than a ball striking tool, Tour Edge provides us with a continued trend of subtle effectiveness in packages that suit particular golfers. 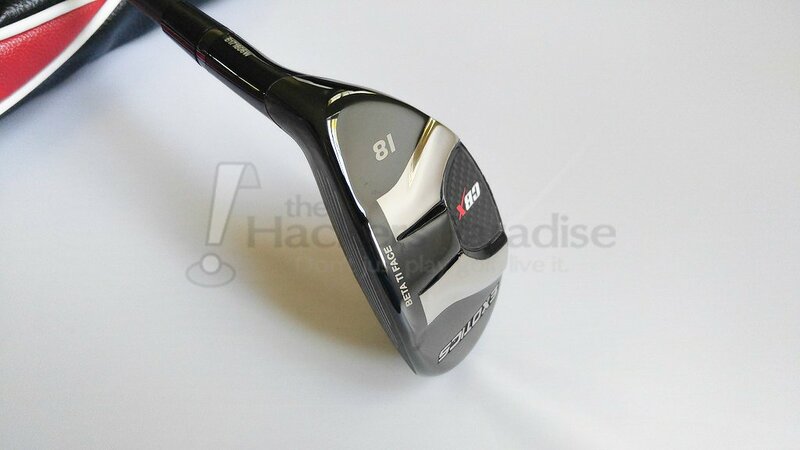 For this review, we will be taking a look at the CBX Hybrid, designed with the desired feel and functionality of a tour player, while testing their limits on the low-spin + distance equation. On the surface, CBX is actually quite simple. A very compact top line suggests quickly to the golfer that workability will be achieved with relative ease. No visual bells or whistles while at address will support the traditionalist, yet a wishbone-esque looking stabilizing feature on the sole will let the mind wander into what is really being achieved here. Hints to a titanium beta face round out the first impression without even striking a ball. Pair all that with the HZRDUS Black shaft and a high quality grip, and it is safe to assume this club is geared towards control and power in an eighteen degree loft. Watch out short par fours? 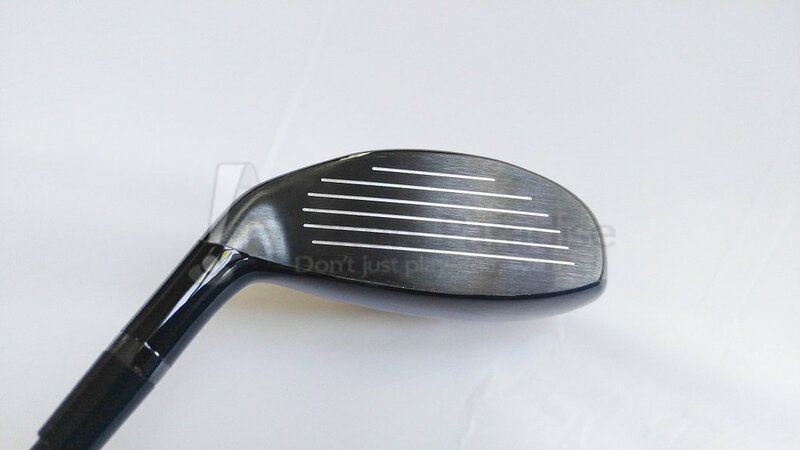 While this review will not be geared purely towards the overall construction of the head, it seems rather fascinating that Tour Edge has taken so much of their time allocating weight in the head. What that should provide golfers is the confidence that CBX will boast an optimal Center of Gravity (CG), possibly better than anything offered previously by Tour Edge in the low spin distance category. In a head that is quite compact as compared to the ultra-forgiving hybrids or woods on the market, this could not have been a small task. To the features themselves, the first and most exciting standout on this head has to be the speed ramp sole. 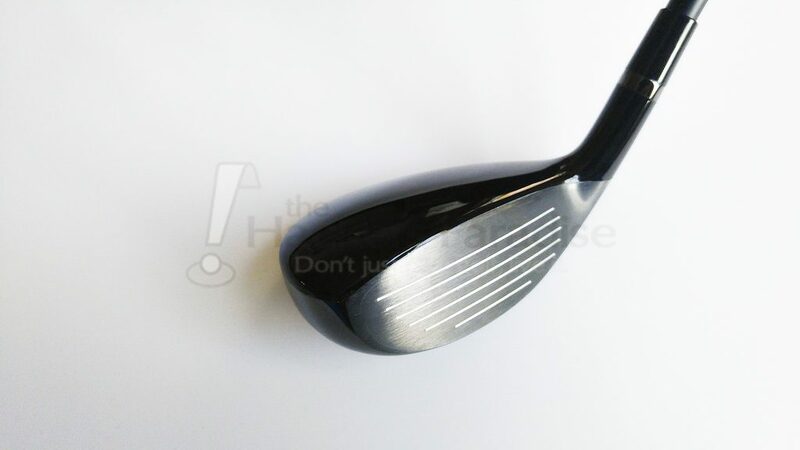 Throughout the course of the review, the head was incredibly persistent in maintaining crisp yet limited divots regardless of how aggressive the drive into the ground was. A truly telling sight of the technology was provided during one session after about thirty balls were hit with the CBX hybrid, and the location behind the speed ramp that says “CBX” had absolutely no dirt on it. What this means for golfers is a bit of a get-out-of-jail-free card on distance when driving a touch harder into the turf. Time and time again, the best thing about this hybrid proved to be the speed ramp. The variable face thickness of the beta titanium face performed well throughout the testing process, not really exposing any weak points on the face. 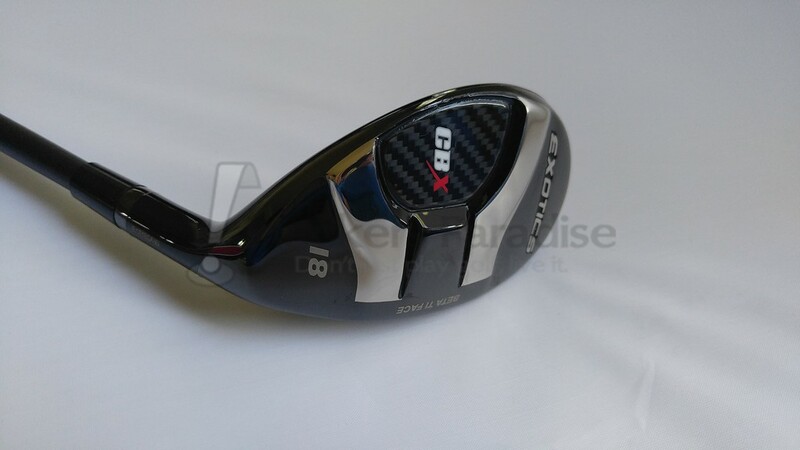 With a hybrid of this size, one should expect to see a fair bit of movement on balls that are hit with some shape of flight, and that was experienced time and time again with CBX. Shots well on the toe had a pretty sharp roll-over shape to the left, while shots inside on the head flowed right with fades. The quality of the strike was very obvious at impact, with shots low on the face leaving this reviewer underwhelmed with his swing effort. It makes sense that feedback quality would be reduced as one lowers contact location on the face, considering the previously mentioned stabilizing elements that begin at the central head location and extend towards the perimeter. With that in mind, audible quality on the central face location provided a very addicting sound that encouraged repetition. To the claims of spin, it seems to be quite subjective on the individual and the swing type. More aggressive, steeper transitions with the CBX provided some notable spin which was especially visible into the wind. Rotating into a more neutral or upward swing path proved a much more penetrating flight that really drove forward. It seemed to be best when paired with a fairly neutral swing profile that could already elevate the ball, and who was capable of not only controlling their spin, but also their shot shape. In that regard, CBX will impress most with the ability to move the ball left and right or high and low at will. The overall takeaway for the CBX Hybrid from Tour Edge is quite aligned with how their site presents the club. This is about improving spin with weight allocation, and geared towards speed and workability which is strongly supported by the speed ramp sole. It comes off as a very complete package for the golfer who has control of their swing and wants a bit of turf interaction support while avoiding the ballooning flight as compared to a utility iron. For more information on the CBX Hybrid by Tour Edge, visit www.TourEdge.com.